Despite the cold, hard fact that our little boy is no longer a puppy (Note the Happy Birthday bandanna -- official birthday post is coming up soon! 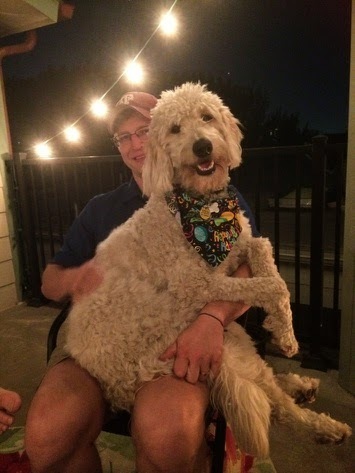 ), Jeff still enjoys hauling Milt Dog up onto his lap for some quality male bonding. Seeing the two of these together does my heart good. Happy Monday, everyone!